As a retired international surgeon, ayurvedic expert, energy worker, Art of Living counselor, meditation teacher, reiki master, spiritual counselor and healer, ordained minister, award winning RVTV personality, producer of "Meditation: the Art of Ecstasy", founder of the Aum Awakening Center, etc. He has over 30 years experience as a meditation counselor, teacher and organizer. Krishna is a father and grandfather who seems to have a magical connection with children. 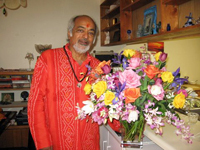 He has conducted many children's meditations in India, Africa and in the U.S.
Dr. Gokani aka Dr. Krishna is very active in his community in Ashland, OR, where he currently resides with his loving & devoted wife, Kumud. Spiritual Counseling or Healing, as above on sliding scale etc. You are welcome to click Dr. Krishna Gokani to set up an appointment or receive further details. You can also call 541-488-0575 or his cellphone at 541-864-9620. PLEASE NOTE: Service fees are subject to change and/or be revised at anytime. 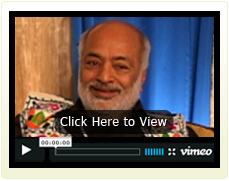 FREE: Watch Krishna's award winning RVTV productions. MEDITATION: The Art of Ecstasy has inspired many people to take practical steps towards the AUM AWAKENING CENTER, of which Dr. Krishna is the founder. Of course, this center is within, but in the outer world it is wise to offer avenues with a spiritual roadmap and physical location that bring us closer to our blissful nature.